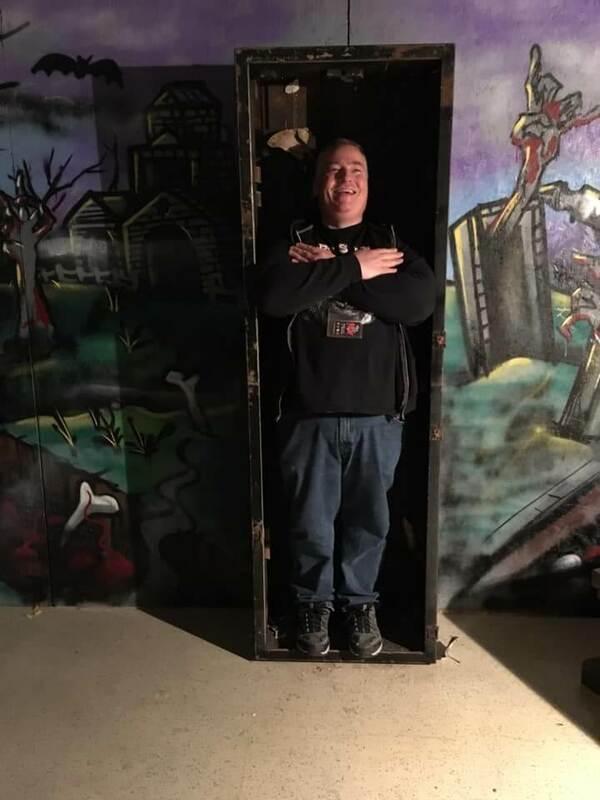 Team In-Corpse-A-Rated reviewed this Haunted Attraction on October 20, 2018. 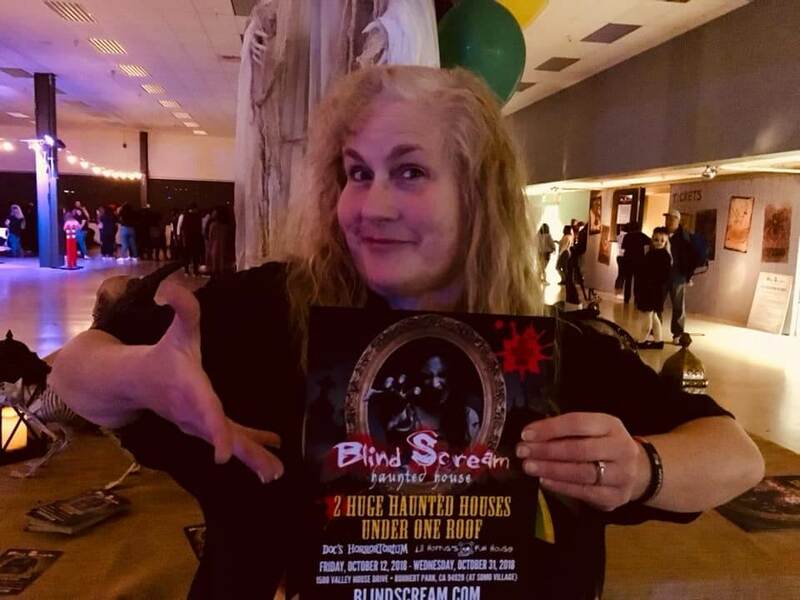 Sonoma County is spooky once again as Blind Scream Haunted House opens its doors in Rohnert Park, California. The brain child of Drew Dominguez and Judy Groverman Walker, Blind Scream tells the continuing story of Doc Hunter and his cannibalistic family. 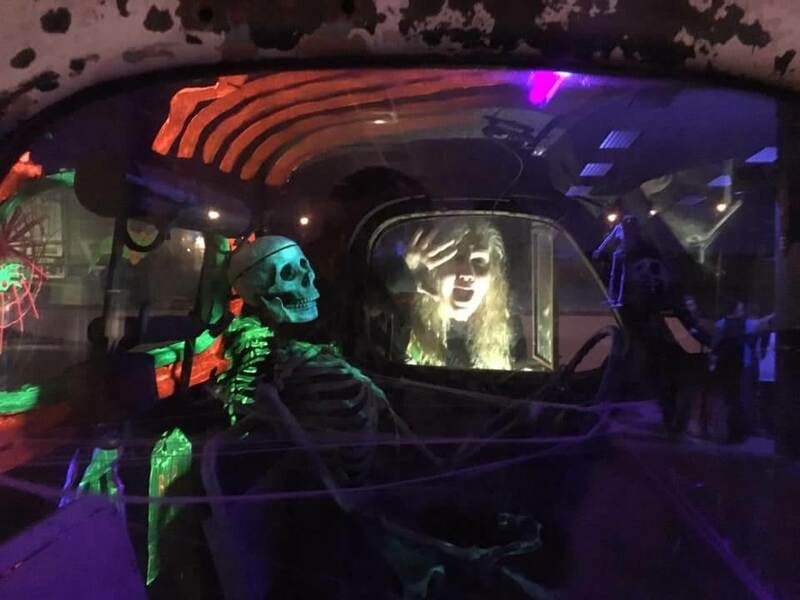 This year offers two haunt mazes, Lil Horrus’ Fun House and Doc’s Horrortorium. The two mazes have different vibes, as Lil Horrus’ Fun House is more whimsical, and Doc’s Horrortorium is gorier. 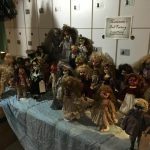 The majority of this haunt is homemade, as Drew Dominguez is a master prop maker. 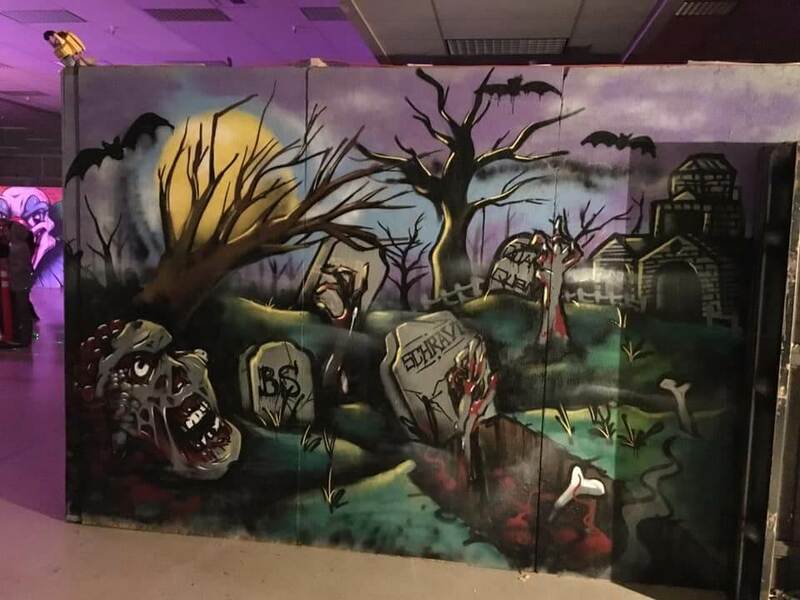 Our review team enjoyed this haunt and admired the artistic differences between the two mazes. Blind Scream had enough actors on the night of our visit and they were very believable. Nobody broke character. 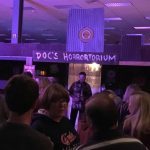 The actors in Doc’s Horrortorium were more interactive and dialogue driven, as they taunted us throughout the maze. They were quite blunt and obnoxious, but it did fit within the theme. We must give the Horrortorium’s actors kudos for handling a bottleneck moment as, at a certain point in the maze, we were joining other guests in a “conga line.” The actors tried to stand in front of the different groups of guests at various intervals in an effort to spread out the conga line, all while staying in character. Another notable moment in the Horrortorium was when we were leaving the kitchen, we were unknowingly about to exit through an actor’s passageway. The actress yelled, “Wrong way, dummy!” and we had to laugh at that. Kudos to her for keeping us on the right path and staying in character. The actors in Lil Horrus’s Fun House tended to be silent and startled us from hidden corners. There was a memorable actor in the blackout room who would stare and give us a diabolical laugh. We found the Fun House to have a wider variety of characters, as each room had a different theme. 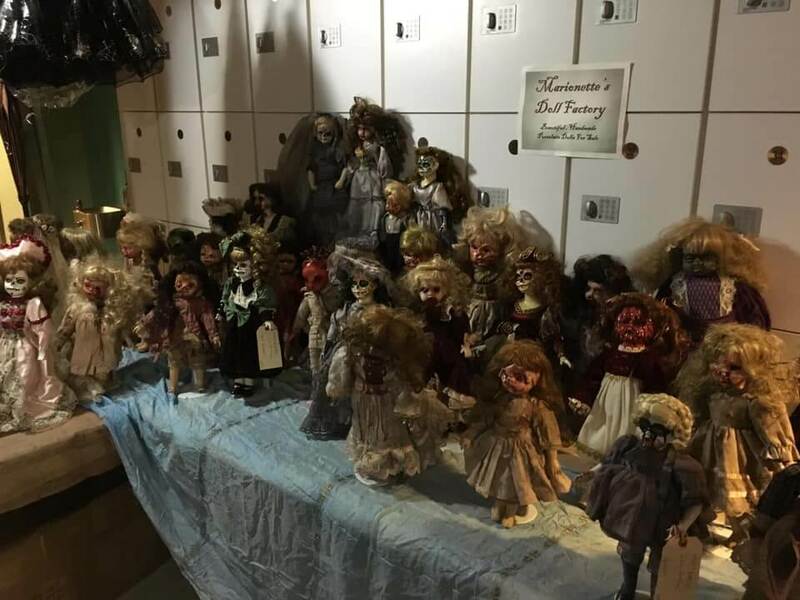 The Horrortorium tended to be similar hillbilly-cannibal types – all of them taunting us in a similar fashion. 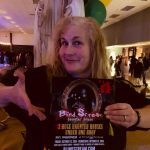 The actors of Blind Scream all had complete and finished costumes that were creative and detailed. Makeup was used well, and mostly applied in primitive styles. There were a few masks used and they were made in-house, which was effective in making the characters scarier. All of the costumes seemed to be appropriate for their respective scenes and themes. Finding the building complex that houses Blind Scream was easy. The small signs along the street did help, but finding which particular building Blind Scream is at was tricky because all of the buildings look exactly alike. 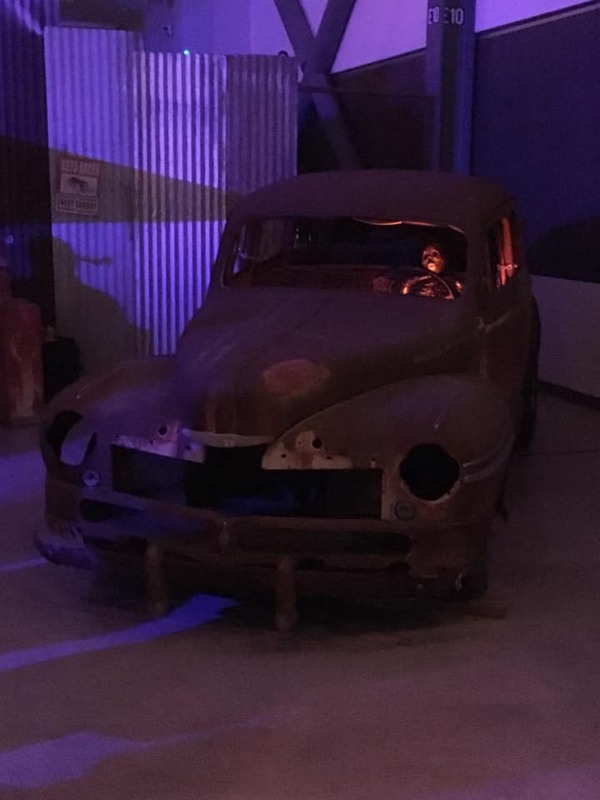 There were small signs (similar to street signs) pointing to the right structure, but once we saw the string lights and projected Halloween images on the wall, we knew we had arrived. 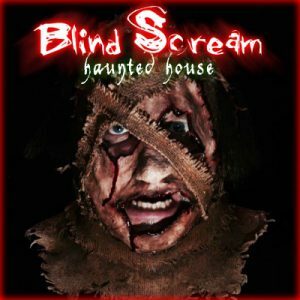 Blind Scream is a safe attraction, and we couldn’t find any trip hazards or anything dangerous. Staff and security were on site and they were friendly and helpful. Information is easy to find because they have a website and a presence on various social media. From the outside of the building, it’s not completely obvious that this is a haunted house. 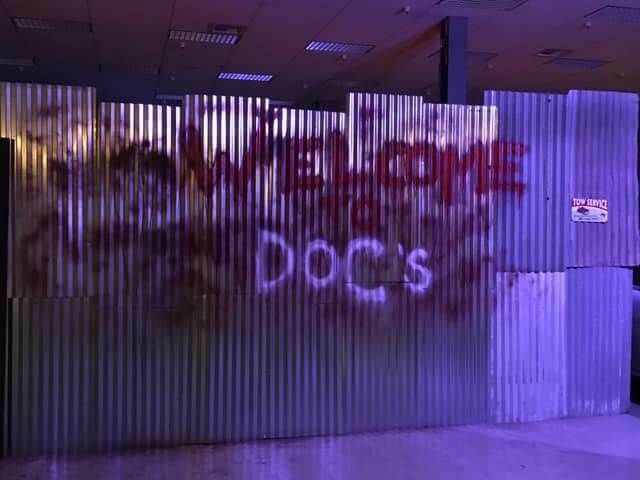 The lighting display does hint at something unique going on inside, but it’s only once you walk inside that you can tell you’ve arrived at a professional haunt. The main concourse had energy and excitement, which contrasted with the quiet outside. 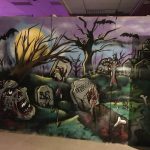 We felt the atmosphere inside the building gave guests a better insight into what to expect in the haunted mazes. The most notable special effects were in Lil Horrus’s Fun House. 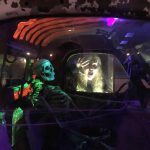 The vortex tunnel, claustrophobia tunnel, animatronic glowing pumpkin scarecrows and green laser light cutting through the fog were all memorable standouts. 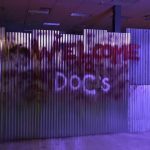 Doc’s Horrortorium had more “blood and guts” props. Its most memorable scene was the dining room where hillbillies were cutting up a live victim in the middle of the dinner table. This scene was reminiscent of the infamous dinner scene from the original Texas Chainsaw Massacre film. In fact, most of the Horrortorium felt like the home of Leatherface from that movie franchise. The sound effects were mostly subtle. The scenes and props were mostly made in-house, but there were antique furniture pieces in the Horrortorium which gave the impression of a poor rural home. There was plenty of attention to detail in each scene, so we were able to tell what each scene was suppose to be. Both mazes achieved and maintained the suspension of disbelief, and the only time our suspension slipped was when we experienced the bottleneck past the midpoint of Doc’s Horrortorium. The special effects were effective at providing scares and entertainment. Both haunt mazes are thematically tied together as being part of the cannibal family of Doc Hunter. 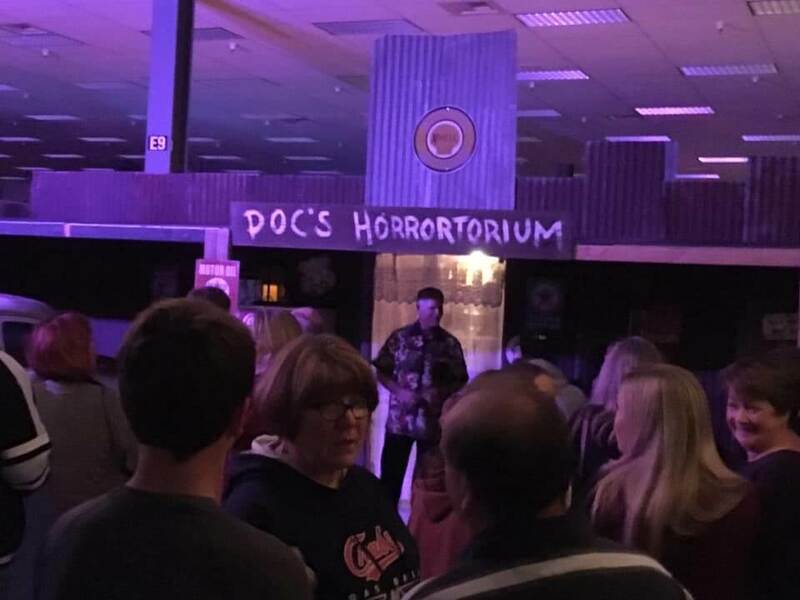 Doc’s Horrortorium is a much more unified theme as we saw Doc’s home and family. 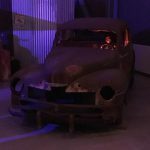 Lil Horrus’s Fun House is more fantasy, as each room had a different theme, from a corn maze, spider room, circus room, blackout room, swamp room and others. 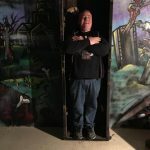 The website does tell the theme of each maze, but we gained more insight by talking to owner Drew Dominguez. The theme of each maze is carried out well. 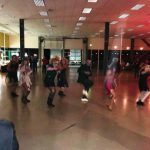 Sadly, we can’t say the location of the haunt authenticates the theme. Blind Scream does have some good scares. Most of them came from actors startling us from hidden corners, and also from confronting and taunting us in an intimidating way. The majority of actors did have good timing, were not predictable, and used distractions well. However, we did catch some clown actors in the Fun House who were not prepared for us when we entered the circus room. Neither one of the mazes had a particularly climatic ending. 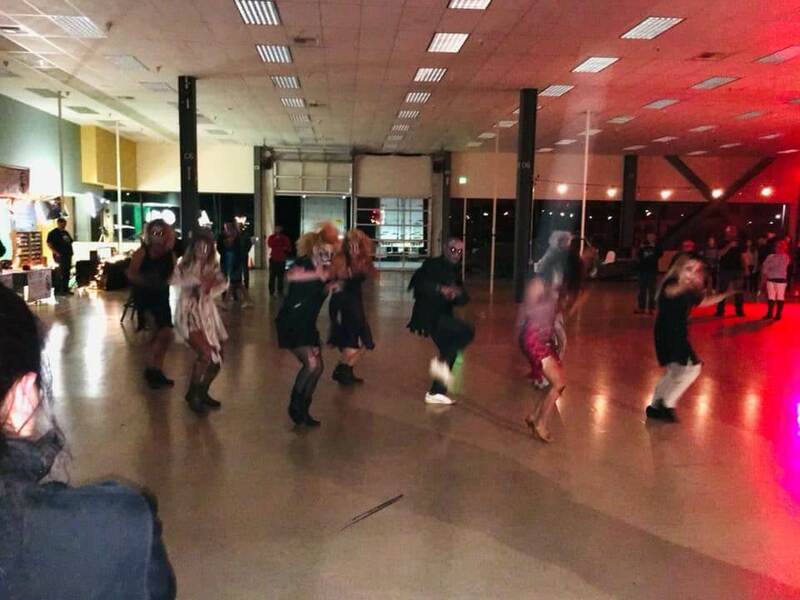 We were satisfied with the entertainment received by Blind Scream. At $25, we felt guests would get their money’s worth for the 17 minutes spent traversing through the mazes. 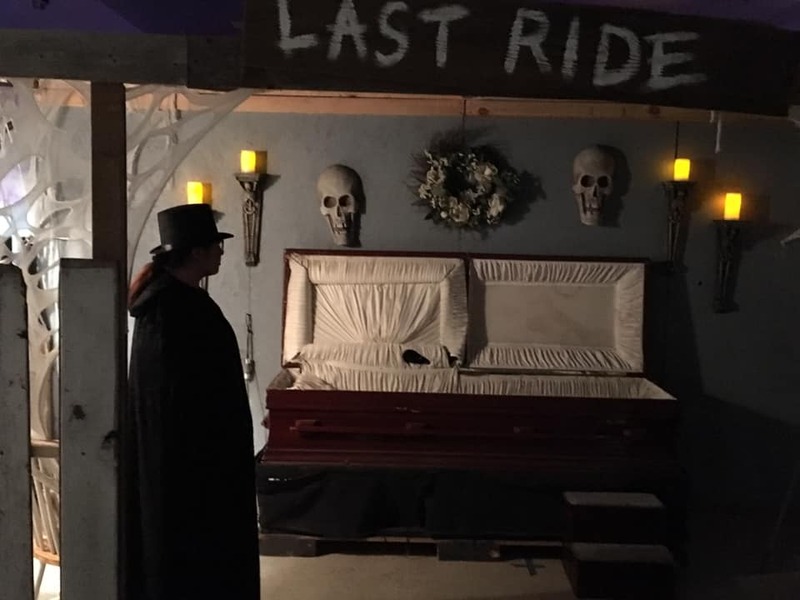 The cost of admission also offers scenic pieces for photo ops, a zombie dance troupe that performs to Michael Jackson’s Thriller, and access to a Last Ride coffin simulator and various vendors. 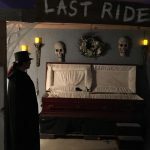 There is an extra cost for The Last Ride, green screen photo booth, and vendors. Blind Scream effectively used their available space, and there were no dead zones.